Hello! Welcome to the new Go Global Experiences blog! This will be the place to look when you have any question at all about studying abroad. Here at Go Global, we want to make sure you are completely prepared for your study abroad experience, so you can expect several blog posts a week regarding finances, packing lists, program information, student’s stories…the list goes on. We’re passionate about what we do, and we’re here to help you make this process as simple and enjoyable as possible. I’m going to take this time to introduce myself so that you know who is behind the keyboard here — My name is Anna Larimore, and I am one of the Go Global Social Media Interns! I am a Junior at the University of Mississippi studying Print Journalism and English. 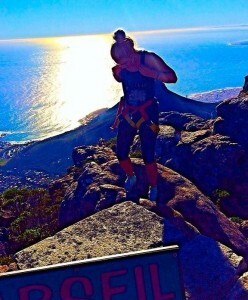 This past summer, I went on LEAD Cape Town and had the experience of a lifetime. I’m ecstatic to have joined the Go Global team; I look so forward to helping students have a life-changing trip of their own. Going into it, I expected this “life-changing experience” that everyone was talking about to just happen…”Global LEAD will change your life!” they said. “Cape Town is the most incredible place!” they said. “Studying abroad will make you grow as a person!” they said. But in the midst of jetlag and thinking way, way too deeply about everything around me instead of being well-rested and taking everything day-by-day…I spent the first few days, maybe even the first week, waiting and waiting for this to happen. When will I notice that Global LEAD is changing my life? When will I fall in love with Cape Town? When will I feel like I have grown as a person? The answer is easy: my first turning point was Table Mountain. It was Friday of Week 1. We had just completed a week of classes. It’s kind of funny; I can remember sitting with Charlie on the bus ride to the mountain and hiking up the mountain with Morgan and Anna. At the time, I really didn’t know them very well at all. They were just super sweet, awesome strangers. Little did I know that some of these people would become my greatest friends on the trip. I blogged in depth about my experience hiking table mountain, but to sum it all up…I have never conquered such a feat in my entire life. I’ve never felt such a “veni vidi vici” moment before. I came to Cape Town. I saw the mountain. And I conquered that mountain. I hiked all 3,558 feet of it. I was hungry, and I was breathing heavily, but I DID IT. I made great friends during the hike — total strangers who were my biggest supporters. I saw the most incredible view from the top…overlooking the whole city, the beach, and the mountains. It was paradise. And it was because I pushed through and believed that I could do something that was difficult. What a metaphor for my life…a positive and motivating way to live my life. Push through. I can do anything. The second turning point was even more emotional: The Amy Biehl presentation and tour. That was my longest blog post but even still, I couldn’t convey in words what I was feeling. Those feelings just overcame me and brought clarity to my perspective on service. By serving in Africa, I learned that there are so many more problems in Africa than just poverty, hunger, and AIDS. There are more problems than this everywhere. That is why it is important to get out into the world, explore, learn and listen…to educate yourself about what goes on in places everywhere and bring that knowledge back to your own community. I learned that this is what it means to practice global citizenship. It is our duty, as humans on Earth, not just in our local communities, to care about people and do what you can to help them. I learned the word “ubuntu” … and it changed my life / the way I see the world. Because of the Amy Biehl Foundation… I am more compassionate than ever. Most of all…I made absolutely incredible friendships through Global LEAD. I knew I would make friends, but I had no idea that I would be meeting future bridesmaids. Seriously. It was by far my favorite adventure out of all of the “adventure stuff” that I did. Something about doing it on the last day of Africa and having pretty much no fear at all while I was waiting for my turn just goes to show that I have learned so much about taking opportunities and not letting fear hold me back from anything. I crave thrill. It’s a great quality to have. Life is too short to miss out on a good adrenaline rush as often as possible. Because of this skydiving trip (and also, I really, really loved the feeling…it was like flying…), I’ve learned to seek adventure anywhere and everywhere. And that is an awesome and fun way to be. I’ve been inspired to travel the world — literally. I think when most people say they want to “travel the world,” they mean that they want to go everywhere on their checklist. But I want to go literally everywhere…even the places I never imagined (or showed a particular interest in) visiting. If there’s anything I’ve learned through Global LEAD…it’s that we learn the most about people, life, the world, and ourselves when we are out of our comfort zones. Therefore: bring it on — I want to travel the WORLD. I’ve expressed such solidity in my ambition towards my dreams. My backpacking trip that I’m planning, my career plans to be a big-time writer, my goals to continue my education…the list goes on, and I believe in it all because of the motivation that was given to me through the amazing people I met in Global LEAD. I have become a better conversationalist. I learned how to be a conversationalist. I learned to ask people questions that matter — not just what sorority they’re in, where they went to high school, and whether or not they are acquaintances with my acquaintances. Because really? Who cares? I want to know their passions, their interests, their family members, their goals. I learned so much by telling people my life story and listening to other people tell their life story. I learned how to use my strengths to help me get where I want to go in life. I learned what my values are and why, and I crafted a vision statement for my life. I repeat, I’m 20 years old, and I have crafted a vision statement for my life. This class was way more insightful than anything I have ever learned in any other classroom. It was amazing. I made such personal connections with the staff, too. I even talked to my program director for a long time today. Global LEAD cares who we are as people. They care about our past, our present, our future. They care about our goals, our dreams, our talents, our passions, our strengths. They do not judge. They listen intently and they ask with honest concern. They are some of the best people that have ever come into my life. Wherever my career path takes me, I hope it calls for me to uplift people the way Global LEAD has uplifted me. I can’t believe my trip is over. It was truly the trip of a lifetime, and it will forever be one of my best memories. It was the trip that opened my mind and heart, helped me to strengthen relationships that needed to be strengthened and eliminate relationships that needed to be eliminated, changed my way of believing everything I thought I knew. It made me who I am at this point of my life, and who I will be in the future. It brought clarity to who I’ve always been. By jumping (literally) outside of my comfort zone…I found myself. What could be more special? To read the full study abroad blog I kept in Cape Town or my personal blog, you can visit my website: www.loveallthingsbritney.com. Hopefully you’ve gotten a feel for how much I valued my study abroad experience with Go Global. It is my mission and passion to provide you with information and insight to help make this the best experience of YOUR life. I look forward to posting again soon!